With the goal of harnessing the untapped potential of Iranian-Americans, and to build the capacity of the Iranian diaspora in effecting positive change in the U.S. and around the world, the Iranian Americans’ Contributions Project (IACP) has launched a series of interviews that explore the personal and professional backgrounds of prominent Iranian-Americans who have made seminal contributions to their fields of endeavour. We examine lives and journeys that have led to significant achievements in the worlds of science, technology, finance, medicine, law, the arts and numerous other endeavors. Our latest interviewee is Nazie Eftekhari. Ms. Malekeh Nazie Eftekhari is the founder of the 35-year old Araz Group and the CEO and principal architect of HealthEZ, a Minnesota-based company which offers services designed to simplify health plan administration for employers and eliminates the complexities in the health care billing and payment process for all involved. Prior to founding HealthEZ in 1997, Ms. Eftekhari earned national recognition in 1982 for designing the nation’s first Preferred Provider Organization (PPO). The term “PPO” was coined to describe her innovation to network doctors, hospitals, and other health providers, as well as employees, insurers, and administrators which provide services at attractive rates. Passionate about human rights, Ms. Eftekhari established the Foundation for the Children of Iran (FCI), the nation’s first nonprofit established by an Iranian American. An organization dear to her heart, for 25 years, FCI has been dedicated to enabling indigent children from Iran or of Iranian origin to receive medical services in the United States that are not available to them in Iran. Dedicated to service and community, Ms. Eftekhari has served on the boards of her alma mater, the University of Minnesota Medical School and Board of Overseers at Carlson School of Business, the Walker Art Center, Children’s Hospital and Clinics, and the Iranian American Political Action Committee (IAPAC), among other civic and philanthropic interests. 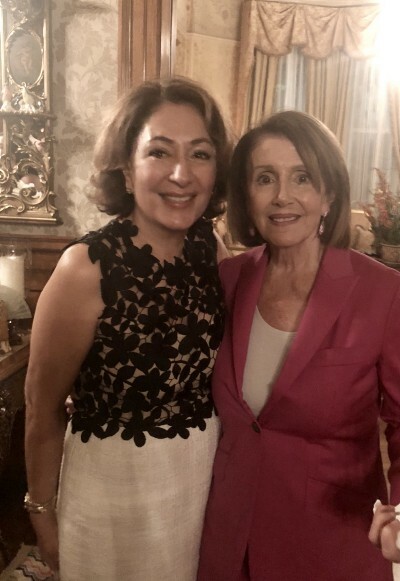 She is a member of Speaker Pelosi’s Cabinet and is a founding member of the Yalda Network: Mothers and Others for Iran. Often recognized for her leadership in business and service to the community, Ms. Eftekhari was given the Carlson School of Management’s “2016 Entrepreneur of the Year” award and the 2011 International Immigrant Achievement Award from The International Leadership Institute. Her accomplishments and contributions have also been recognized through numerous awards including “Woman of the Year,” “A Twin Cities’ Woman Change Maker,” “Small Business Person of the Year,” the “Minnesota Advocates for Human Rights Award,” and “Woman of Distinction Award.” HealthEZ has been named a Top 100 Workplace by the Minneapolis Star Tribune and The Araz Group has been cited as one of the region’s top 25 women-owned businesses. Ms. Eftekhari is a graduate of the London School of Economics and holds master’s degrees in International Relations from the University of Southern California (UK) and in Health Care Administration from the University of Minnesota. Tell our readers where you grew up and walk us through your background. I was born in Tehran, Iran to a very lucky family. My mother, Homa Arbab’s family was from Yazd. My father Mehdi Eftekhari was from Zanjan. Today photographs of my great-great-Grandfather, Hakim-ol-doleh one of the first physicians in Iran, my maternal grandfather, Mehdi Arbab, and five generations of my family still cover the walls of our home in Minnesota. I attended Bahar-No (Miss Mary’s) elementary school. In fourth grade, I left Iran for boarding school in England. I attended St. Margaret’s Boarding School in Folkestone, Kent. I returned to Iran the year Iranzamin — aka The Tehran International School — opened. My closest friends to this day are my best friends from Iranzamin and Miss Mary. I graduated from Iranzamin at the age of 16 with an International Baccalaureate Diploma, which we received at our graduation ceremony from Prime Minister Hoveyda. On a dare with my father, I took the nation-wide exam or “konkour” for entrance into the Iranian University system. I was accepted to Pahlavi University in Shiraz, much to the surprise of everyone, especially me. In 1978 I returned to Iran to the summer of unrest, eventually turmoil and finally martial law and revolution. 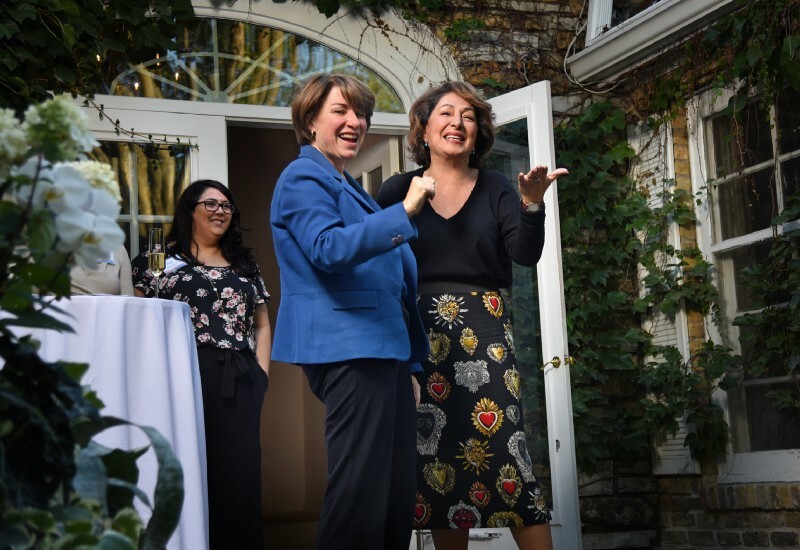 During this time, I was urged by Dr. Aram, the Deputy Minister of Health, to apply to and attend the University of Minnesota Master’s Program in Healthcare Management. I was reluctant. Dr. Aram was adamant. He told me, “The world of today is a European world. The world of tomorrow will be an American world, and you will regret not having an American education.” It made sense. I agreed and prepared to leave for the US. On September 17, 1978, I left Iran for the last time. Dr. Aram had already been arrested. How did your family and surroundings influence you in your formative years? My parents’ pride in and commitment to family, service and their loyalty informed my youth and entire life. My grandfather would always remind us; we were in the same boat as everyone else. His enduring advice was the common Persian saying that “the more fruitful a tree, the lower it hangs its head.” My father’s favorite sayings was “after hubris comes the fall.” It was also my parents’ total commitment to education which was very compelling. We are a family of strong women. My great-grandmother told us she had a dream about a monster wearing a necklace. In her dream, she reached out and ripped the necklace off the monster’s neck. A legend said this action symbolized that her family would have strong women for the next 7 generations. I am the 4th generation and my daughter Raz, and her cousins Yasi and Amira, the fifth generation. I always say the women of our family are strong because they were told they ARE DESTINED to be strong. Persistence, tenacity, resilience, hard work and never giving up are the keys to my success. My father, Mehdi Eftekhari, my mother, Homa Arbab, my son, Sahm McGlynn and my daughter, Raz McGlynn have always been my inspiration, my true North Stars. I am also inspired by my amazing and hardworking employees, my clients, many of whom are extraordinarily accomplished and our contracting doctors Medicine remains a noble profession and healthcare is truly a worthy field of human endeavor. Friends are the family you choose. I am blessed and lucky to have the best friends in the world and certainly better than I deserve. 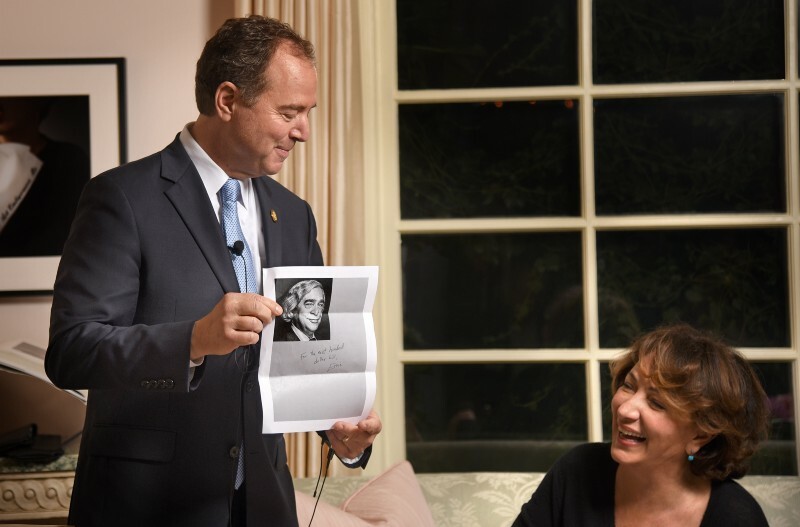 Foremost amongst them, Speaker Nancy Pelosi, a singular leader of consequence for the ages. 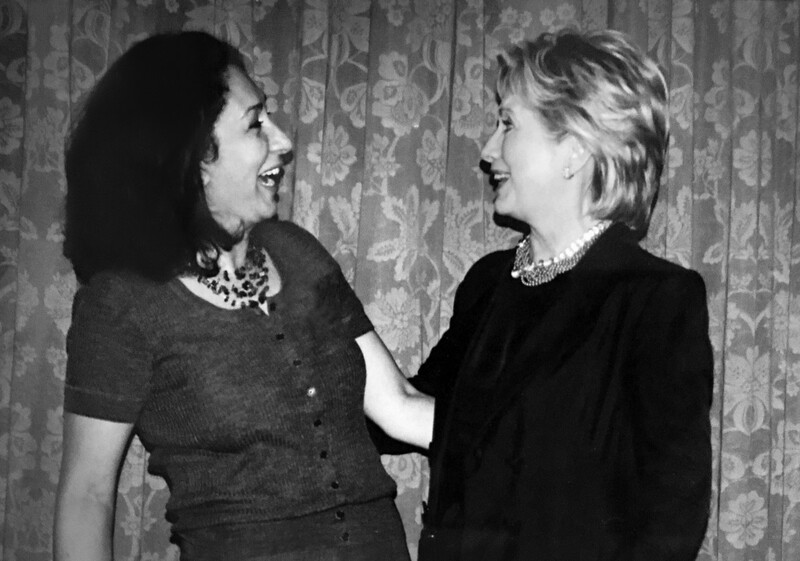 I am deeply grateful to her for marching boldly into the history books and taking all the women of my generation with her. Since this is the first time you mention her, please provide more information on when you met her and the depth and breadth of your relationship with her. What prompted you to start the Foundation for the Children of Iran? In 1991, my business was going well, my children were good, my parents were okay despite the ravages of a revolution and a war which ripped apart the very fabric of Iranian society. I was a proud and successful American mother and businesswoman active in numerous charities. But as the poet said: “There was a hole in my heart and a void in my soul.” I was determined to give back those less privileged, especially back in Iran. I invited my cousin and a close friend who was a pediatric surgeon to join me and dozens of my friends, family members and healthcare associates to help me organize our foundation, raise money, and help very sick babies from Iran. Our first patient arrived in that first year. For 25 years, I paid all the administrative expenses of FCI so that every dollar raised would be spent on medical services for the children. We raised approximately $5M dollars over the past 25 years and purchased more than $25M dollars of medical services. We saved numerous lives but lost two of our precious children over the years. I am still in touch with many of them, now adults, married and with children of their own. I will carry the two boys who passed away in my heart, all the days of my life. Today, we are unable to help anyone because of the Trump Travel Ban. We filed Amicus Briefs in a variety of cases filed against the ban. The 9th circuit decision quoted our Amicus Brief repeatedly, stating the judge concurred that it is in the best interest of the United States to help these sick children. Everyone knows the results of those legal challenges. The Supreme Court of the United States dealt the tragic final blow, severing the “chain-of-hope” I started in 1991. America’s first PPO was founded in 1982, in Minnesota and eventually expanded to 12 states. As we worked on the concept of having a group of doctors and hospitals under contract but allowing patients to go to any provider with a higher co-pay, we engaged Dr. Paul Ellwood who had coined the term HMO. Once we described our idea to him, he had the Eureka moment and said: Let’s call it a Preferred Provider Organization (PPO). And the rest is history. PPOs far outpace HMOs and traditional plans with over 50% of the working population of the US enrolled in a PPO. You are or have been actively involved at a leadership level in many of the organizations in the Iranian-American community. Why you are so passionate about the community and what do you believe the future holds? Much of the credit for that goes to my schoolmate from Iranzamin, Goli Yazdi Ameri. 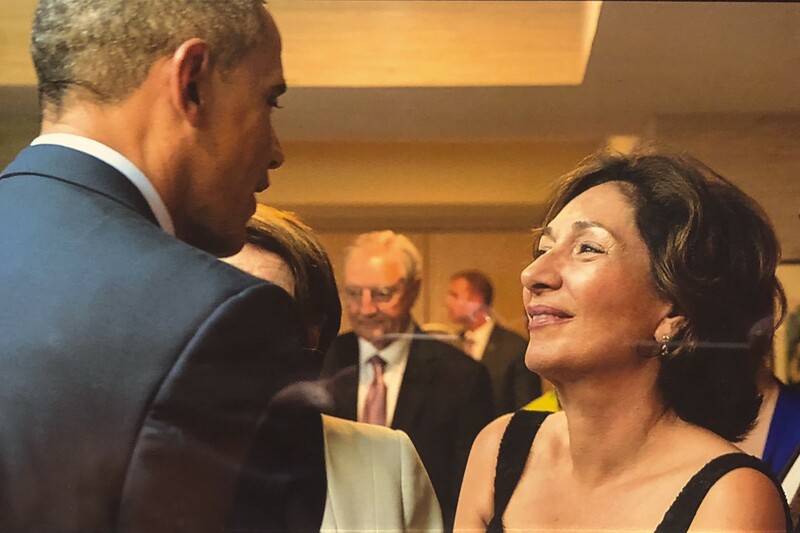 She organized the very first retreat aimed at bringing Iranian-Americans together to cooperate for the good of our country, the United States, and our community and she succeeded. Can you elaborate on your companies HealthEZ and the Araz Group? Currently, I am encouraging everyone I know to read Being Mortal by Gawande. It is must reading for anyone in our field, anyone with an elderly or terminally ill family member or friend. It is truly a unique and illuminating work by a fascinating leader and doctor. I also strongly urge my friends to read the Biography of Catherine The Great by Massey, which so few people do because it’s a long book but worth it as it is about a spectacular leader. And finally two quick reads: Who Moved my Cheese, and Outliers by Malcolm Gladwell. What is the biggest obstacle you’ve faced along your career path? How did you overcome this? Racism, sexism, misogyny, bigotry, xenophobia …. My biggest obstacle has been prejudice. I overcame because I persisted. Today, I am most proud of the Legal Rapid Response Team I helped organize and sent to Texas. Nine young attorneys flew down with 24-hours’ notice, and over the next few days made all the difference in the lives of dozens and dozens of mothers and fathers unjustly incarcerated and separated from their children. These young lawyers make me so hopeful about the future. I consider myself an American of Iranian descent. Between the land of my fathers and the land of children, I choose my children. I honor this country which has honored me and my family. I remain forever grateful for my amazing childhood, education and all the blessings of being a daughter of Persia-and a living personification of the American Dream. 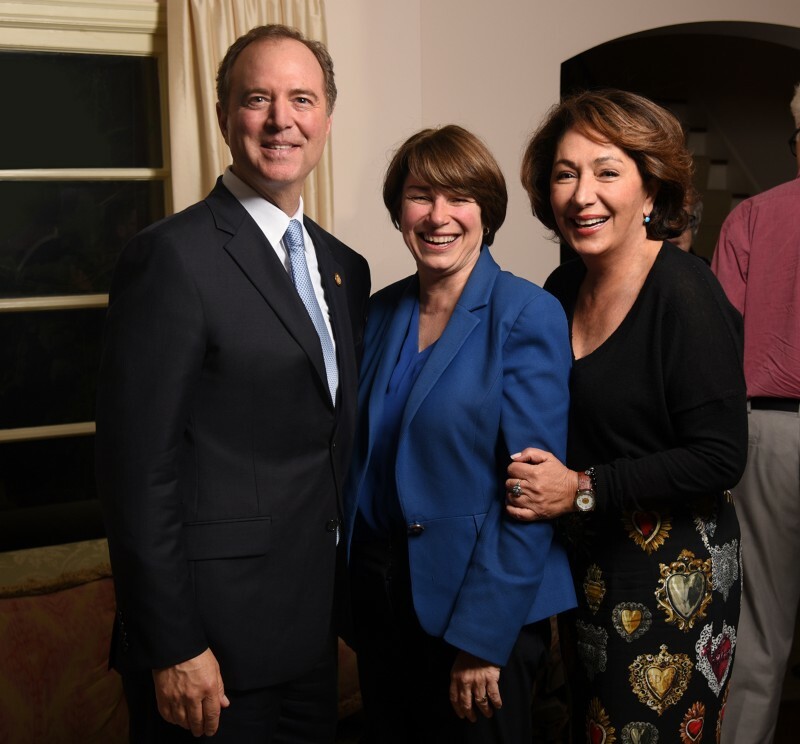 Welcoming the incomparable Senator Amy klobuchar to her home with Adam Schiff, the incoming chairman of the House intelligence committee. 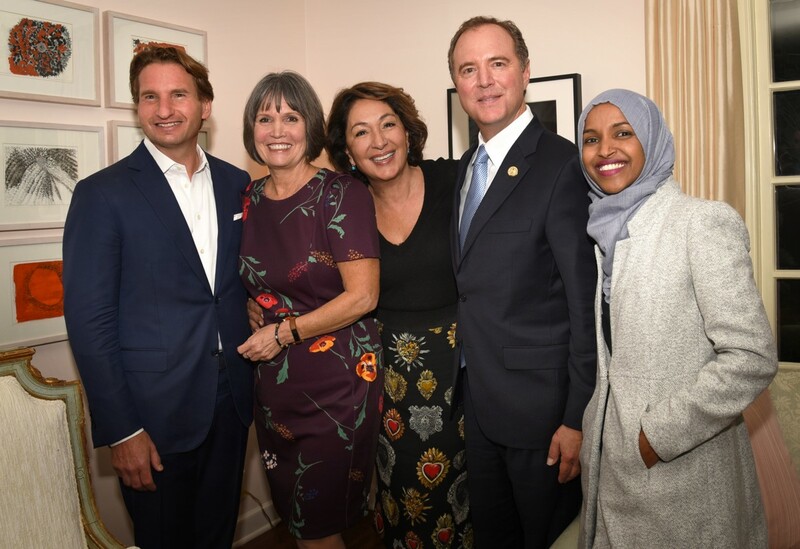 With the winning team congress women Betty Mccollum, incoming intelligence committee Adam Schiff, congress man Dean Phillips, and Minnesota house of representative Ilhan Omar.